We would love for your feedback. 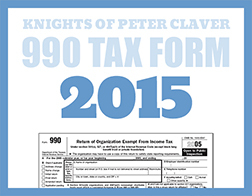 Send to info@claverfoundation.org. We continue to give thanks to God for the work he has entrusted to us. 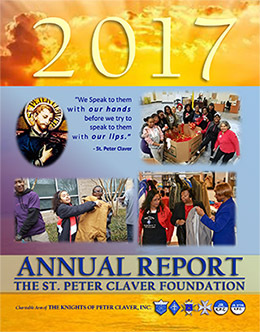 The Annual Meeting of the Saint Peter Claver Foundation will be held on Tuesday, July 11, 2017 at the Sheraton Hotel in Dallas, Texas. 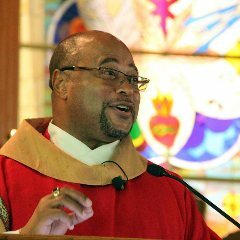 This past year, newly added to the Foundation board are Anderson F. Shaw the Executive Director of the African American Catholic Center for Evangelization in Los Angeles, California. 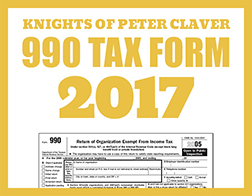 Thank you to everyone for participating in our annual Foundation fundraisers and for your continued support of the Foundation. The Josephite Priests and Brothers elected Father Michael L. Thompson, SSJ, as Superior General during their General Conference June 15-19 2015. The Conference, held at Saint Joseph Seminary in Washington, D.C., takes place every four years to conduct regular business by elected representatives of the community. Father Thompson, 57, a native of Port Arthur, Texas, had been serving as Vicar General since 2011. He is the 14th Superior General of the religious community, founded 144 years ago to minister to African Americans. His term runs for four years. Ordained in 2004, Father Thompson was parochial vicar at Corpus Christi/Epiphany Church in New Orleans. Following Hurricane Katrina, Father Thompson assisted at the post-Katrina Recovery Office, which the Josephites had set up in Breaux Bridge, Louisiana. At that time, he also served as pastor of Our Mother of Mercy Church in Beaumont, Texas. When the Recovery Office was closed, Father Thompson was appointed pastor of St. Francis Xavier Church in Baton Rouge. He moved to the Josephites' generalate in Baltimore in 2011 when he was named Vicar General. Father Thompson said, "It's a great honor to have your brothers choose you to be their leader. I now have a deeper responsibility to care for the men and to guide them in their ministry."